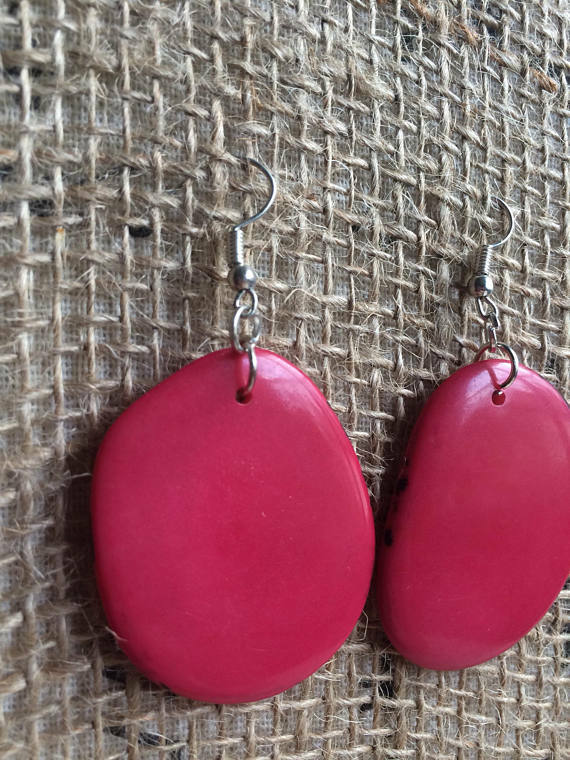 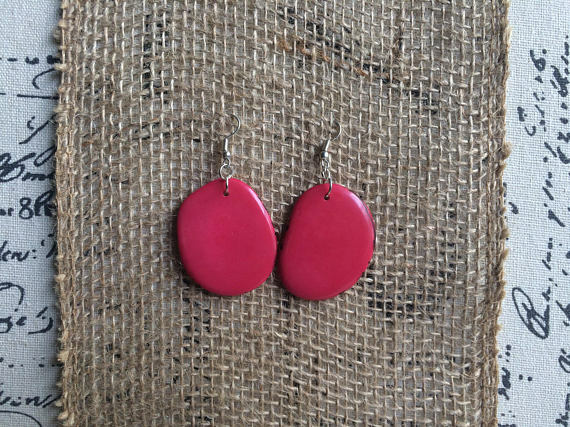 These beautiful red Tagua earrings are made of thin slices of Tagua nut, dyed with organic ingredients only. 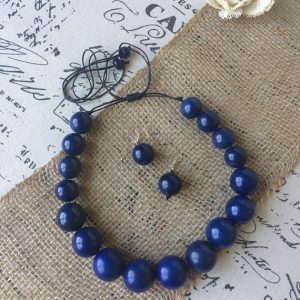 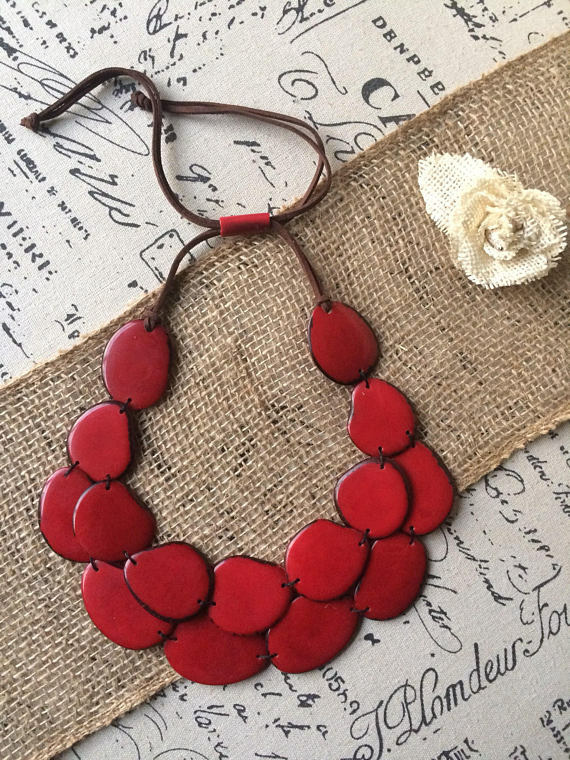 Tagua, is a nut that grows in Ecuador, and is carved by hand by local artisans. 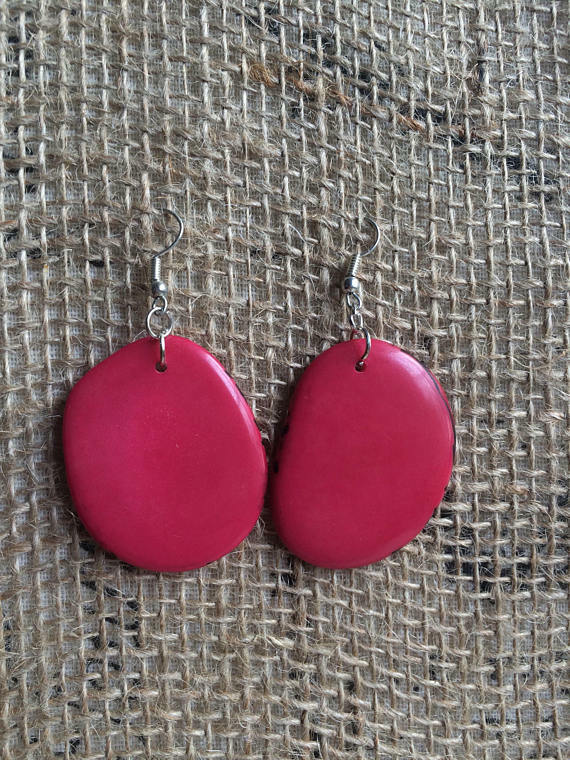 Tagua is also known as vegetable Ivory, because of its resemblance with animal Ivory. 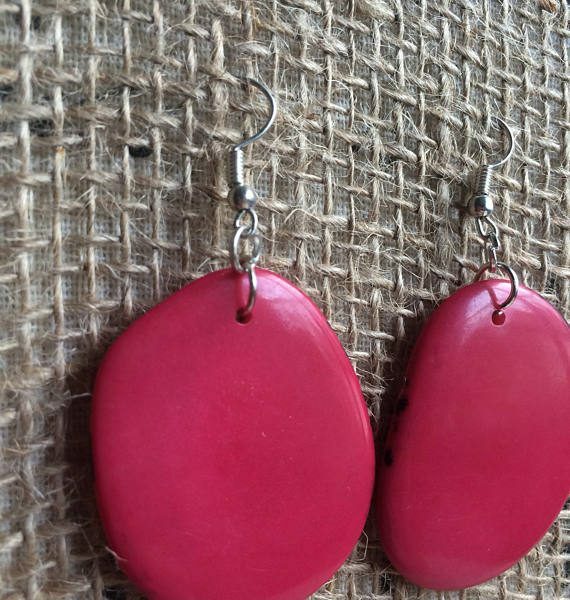 Although chunky, you will find these dangling earrings light and fun to wear, they are very resistant. 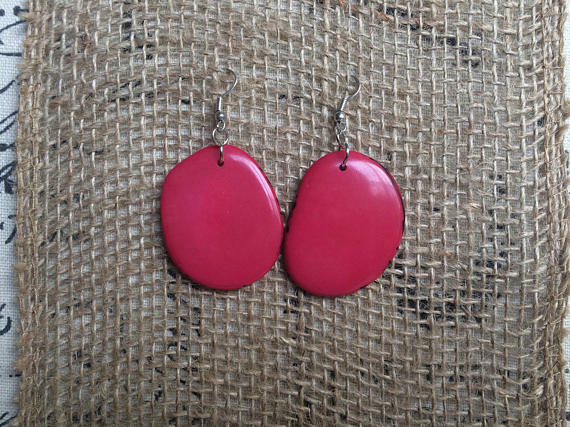 They will look specially great when wearing them with your hair up. 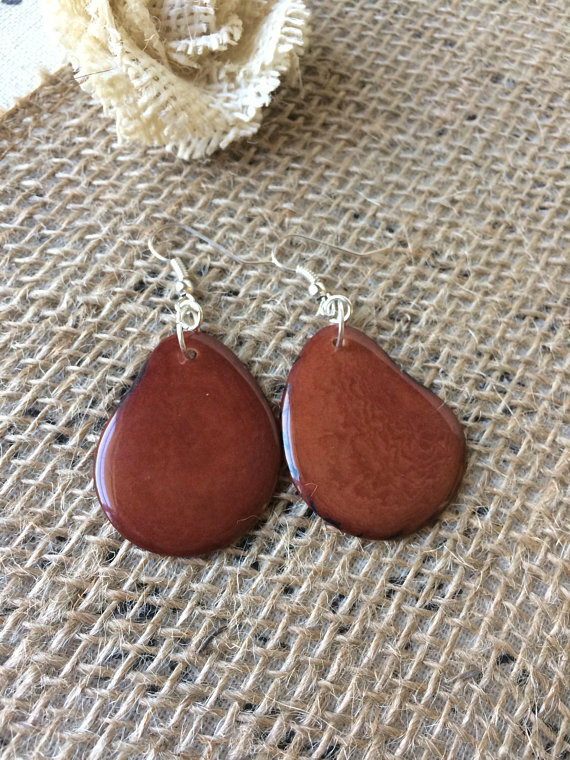 The earrings are about 1 1/2 inches from the top of the ear wire to the bottom of the tagua bead. 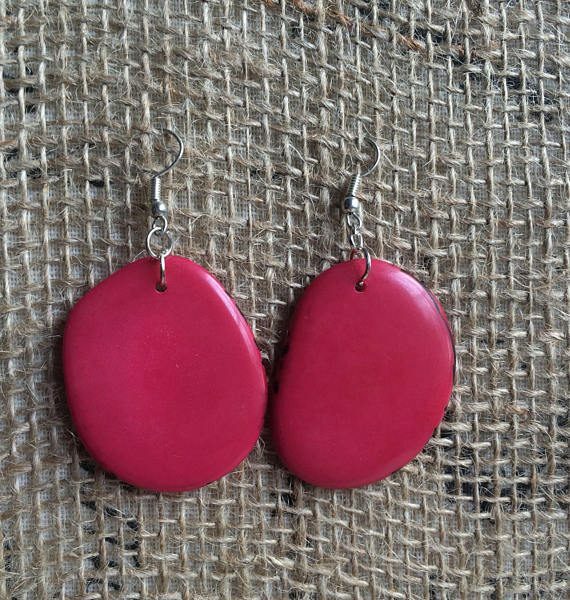 They are about 1 1/4 inch across.